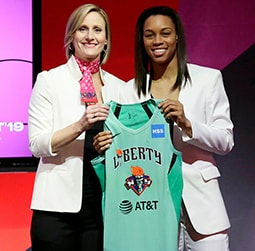 With the tenth pick in the 2018 WNBA draft, the New York Liberty selected University of Connecticut’s two-time national champion Kia Nurse. Since transitioning to the WNBA, the rookie guard and Ontario native hasn’t wasted time putting her talents to work. The instant fan favorite is a consistent threat anywhere on the perimeter and a lockup defender. 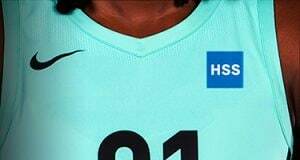 But who is she off the court? This season, Nurse invites you to get to know the person behind the player setting records on the court as she settles into rookie life. Follow along! “Excuses are the tools of the incompetent” these are the wise words of my father Richard Nurse, or so I thought. Growing up I heard this statement so often it became engrained in my head. Turns out my father was quoting an unknown author the whole time, but reminders like this from my mother and father shaped who I am as a person and as an athlete. I guess I should take you back to where it all started. Location: Hamilton, Ontario, Canada. On February 22nd, 1996 the baby of the family was born. Spoiled rotten and loved beyond measure. I like to tell people I was born in a gym. Now this is not exactly true, but at the time both my mother and father coached my sister Tamika’s basketball team. Back in the day Tamika was my version of Michael Jordan– larger than life. I was the annoying little kid who walked around the gym bragging that my big sister played for Team Canada, won numerous championships, and earned a full scholarship to play in the NCAA. If you haven’t figured it out yet, she is the reason I wanted to play basketball. I wanted to be just like my big sister. Well, that is exactly what happened. Being only a year apart, my brother Darnell and I were inseparable. It started with skating lessons, then little tyke soccer, but at the age of four we started to go our separate ways. Turning four meant that I was old enough to be in Hamilton Transway’s House League basketball program. My basketball career began on a six-foot hoop and I’ve been in love with the sport ever since. If you ever would have told me that I would play for the University of Connecticut and win two National Championships, I would have laughed in your face. If you would have told me I would be an Olympian at the age of 20, I would have given you a look and walked away. If you would have told me I would play in the WNBA, well you get the pattern. I have a bad habit of selling myself short. But, growing up my family always believed I would have a chance to earn all of those accomplishments. I guess they were right, because I wake every morning living out a real-life dream. My transition to the WNBA has been a whirlwind. College season came to an end and not long after the draft was quickly approaching. To be honest, the whole “selling myself short habit” was in full effect. I spent days wondering if I would even be invited to the draft. As you can imagine this made dress shopping quite stressful. When draft night finally rolled around I sat at the table with my parents unbelievably relieved. It felt like I was saying “thank you” to my parents in one of the best ways possible. My mother and father deserve every bit of credit for giving my siblings and I every opportunity to be successful in life and sports. They are truly incredible selfless people. When my name was called I was ecstatic. New York, could it get any better than that? I personally thought the Liberty was a great fit. 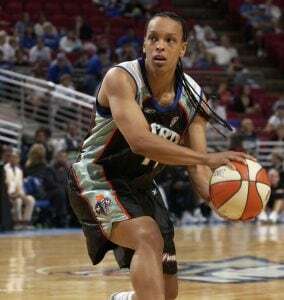 Not only was I going to be learning from two of the best to ever play our game in Katie Smith and Teresa Weatherspoon, but I was headed to a veteran filled team who had consistently been a force to reckon with in the league. I could not wait to get started. My first ever WNBA game was filled with so many emotions. Were there nerves…but of course. Once I was able to convert on my first layup after a slash to the rim everything began to settle in. 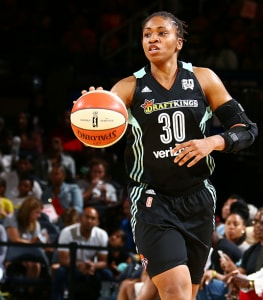 It was strange playing against my best friend Gabby Williams. There was a specific play in transition when it was just me and Gabby one-on-one. With most defenders I am able to slow up and adjust with a burst of speed, but I knew that wouldn’t work in this case. Gabby and I had a number of tight races in summer workouts at Connecticut so I knew speed was not my advantage. As I got closer to the rim I knew one thing was for sure…she was going to try to block the shot. I got her with an up-and-under move that I was even surprised by (whoops, I mean I totally meant to do that). At the end of the day, I was so happy to see Gabby succeeding in her new role with the Sky. I’m looking forward to the matchups we will have throughout this year and hopefully the many years to come. With the season in full swing now, every day presents a new learning experience. I believe I have some of the best vets in the league in Tina Charles, Marissa Coleman, Epiphanny Prince, Kia Vaughn, and Shavonte Zellous, on our team. Their energy, passion, and willingness to share knowledge is something I am beyond grateful for. I can’t wait to see where this season takes us, and to share that journey with all of you!